Everything we do is centered upon who Jesus is and what he has done for us. On Sundays, we gather to worship God together and hear the preaching of God’s Word, the Bible. We believe in expositional preaching, which means taking the meaning of God’s Word as it explains itself and applying it to our lives. The Bible ultimately tells us the good news of who God’s Son Jesus Christ is, what he has done for us, and our need to turn from sin and trust in him. Click here for info about our Sunday gatherings. Click here to Listen to a sermon! An essential part of living as a Christian involves fellowship with other believers, living IN community and OUT on mission together. Our community groups are open groups with a specific purpose: fellowship as Christians, discussing God’s Word together and applying it to our lives, and together inviting others to follow Christ. 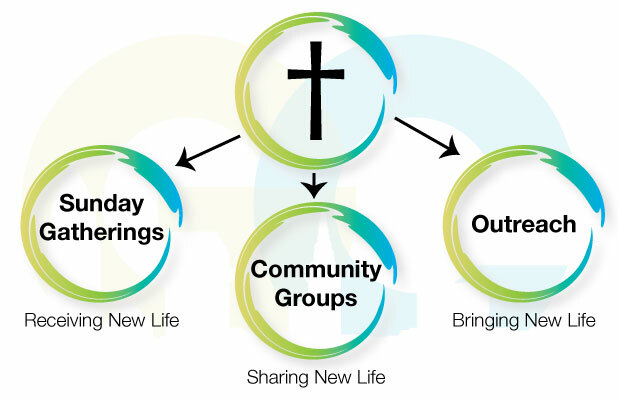 Click here for info about our Community Groups. We are reaching out to the individuals, groups, community, and city that we live in as a church. We seek to share the life-changing message of the gospel of Christ in both word and in deed. Our church had a great Summer of Sports Camps, Block Parties, community garden work and much more in our Old Brooklyn neighborhood in 2016! Check out the Summer Recap Video below to see all that Gateway Church Old Brooklyn and our partner churches took part in this summer! The song “Anchor” provided by William Beiter on the album Anonymous Eulogy copyright 2013. All rights reserved.